Welcome to The Wednesday Window the window into the blogoshere, where you can meet bloggers with similar interests, and where you can get extra exposure to your best blog posts. 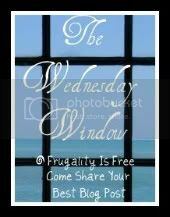 The Wednesday Window is much more than just a blog hop, it is a place where you can promote your favorite blog post, so don't link up to your main page....we want to be directed to your best work. Link up your best blog post (Please link directly to your post) It does not have to be a new post. Let us know in the comment field below, why this is your favorite blog post. Comment on the featured blog's post. Comment on the two posts before you, and comment on as many linked up posts as you would like. 1 entry per method - let me know below what you do and leave links)*. *If you don't comment below with your entry method, it might not be counted.